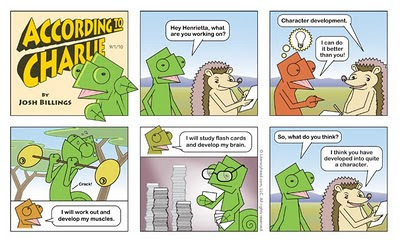 Recently was asked to create a comic strip for a children's literacy website called Literacyhead.com. I have been doing some graphic design work for them for a couple months and I am happy to be working on this by weekly strip. Please stop by literacyhead and see what they are doing over there. 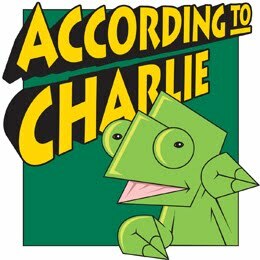 The Comic Strip is about the adventures of Charlie the Chameleon who always seems be misunderstanding his friends. The first installation introduces his best friend Henrietta the Hedgehog. Let me know what you think.